I cannot give enough accolades to Rebecca! Selecting a photographer to capture your most precious moments is a big task...look no further. Rebecca is the whole package. Incredible communication, highly knowledgeable, creative, innovative, and above all else, fun! Rebecca has a talent for capturing sincere, authentic moments. Her warm, approachable personality makes you feel at ease, which in turn means you are bound to end up with tons of beautiful candid shots of you and your family. In addition to her talent, Rebecca runs her business with top notch customer service. She is friendly, accommodating, and will give you 150% effort to ensure the images she delivers are perfection. I couldn't be happier with the priceless photos she captured of my family! We cannot say enough good things about Rebecca Lynne Photography! She came to our house twice when our newborn son was 2 and 8 weeks old. 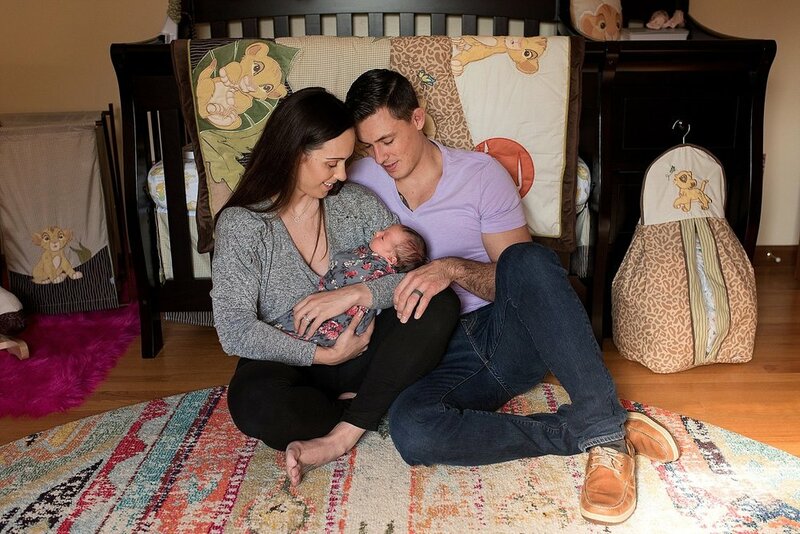 The images from the first shoot were beautiful, and our parents loved them so much, they insisted that we try to get Rebecca to come back to capture photos of them with the baby too. She was so accommodating and flexible in making this happen when our schedules were crazy. During the photo shoots, she was easy and pleasant to work with, making everyone feel comfortable and totally at ease. We will definitely be calling her to capture more milestones and special occasions in the future! Rebecca Lynne Photography is a CT newborn photographer, CT family photographer, CT maternity photographer. Specializing in fun lifestyle photography throughout all of Connecticut. Located in Middlesex County, but also serving Fairfield County CT photography, New Haven County CT photography, Hartford County CT photography, New London County CT photography, Litchfield County CT photography, Windham County CT photography, and Tolland County CT photography.